The Big Issue exists to offer homeless and vulnerably housed people the opportunity to earn a legitimate income by selling a entertainment and current affairs magazine to the general public. Vendor buy the magazine for £1.25 and sell it for £2.50, meaning each seller is a micro-entrepreneur who is working, not begging. Therefore it is vitally important that buyers take their copy of the magazine when they pay for it. We believe in offering a hand up, not a hand out, but we also recognise that earning an income is the first step on the journey away from homelessness. 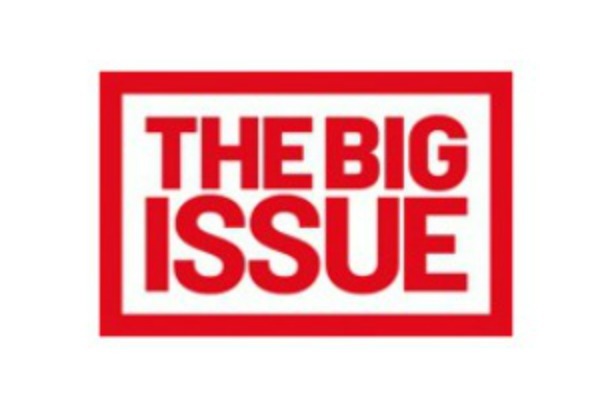 The Big Issue Foundation is a registered charity which exists to link vendors with the vital support which will help them address the issues which have led to their homelessness. The Foundation works exclusively with vendors, offering support, advice and referrals.The Big Issue is also an international entity, with versions of the magazine published around the globe.